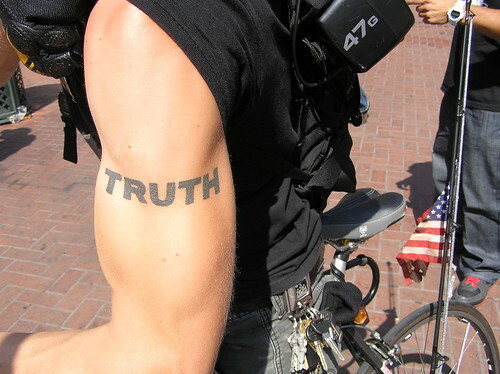 "There were more actions for 9/11 truth in more locations on one day than ever before." Reprehensor on Fri, 10/10/2008 - 2:42pm. Thanks for this, always a great feeling to see all these. I love the one of the police watching the film broadcast on a wall . . .
Victronix on Fri, 10/10/2008 - 3:35pm. Aw, that made me happy. Aw, that made me happy. Thanks. There are a lot of good people in the world. operator kos on Sat, 10/11/2008 - 7:49pm. What a way to BE!!! Robin Hordon on Sun, 10/12/2008 - 2:41am.